Sweet, Spicy, Salty, Smoky, and Crispy is everything you are craving. 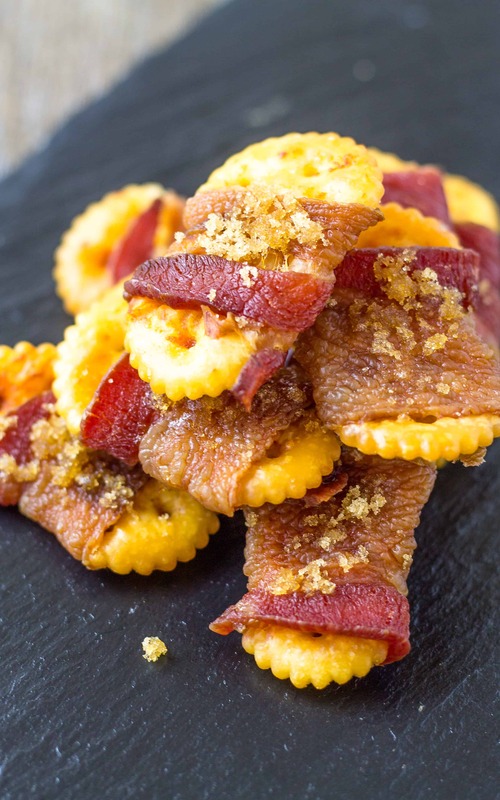 My Sweet and Spicy Bacon Crackers are a complete snack that is perfect for Tailgating! 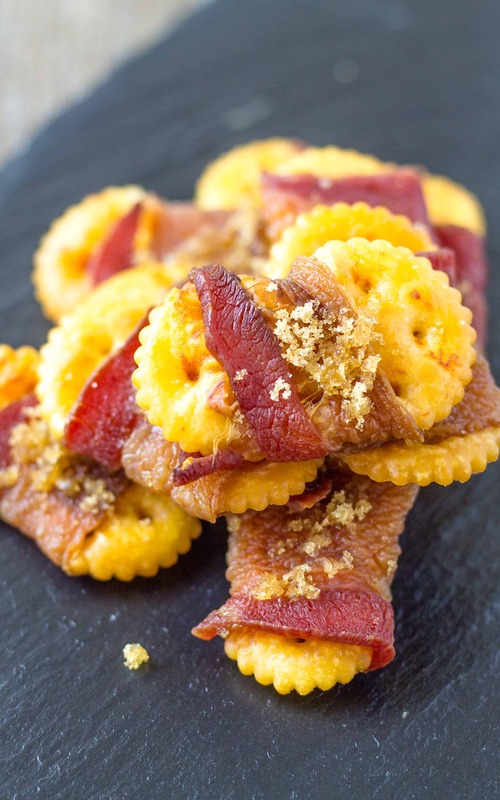 It is full-on tailgating time and nothing is better for cheering on your favorite team than cramming your mouth with my Sweet and Spicy Bacon Crackers. No snack is more complete, except maybe a vitamin supplement advertised on an infomercial, but I can assure you those don’t taste as good as these do! Now I will say that I didn’t come up with these tasty crackers all on my own. I happened upon the recipe while scrolling Pinterest looking for football snack inspiration and couldn’t take my eyes off of them. I made several batches and ate them of course, but after 6 batches I felt like they needed a little kick in the pants. One way to kick them up a bit is to add some spice to them. I thought about wrapping bacon around one of my Comeback Crackers, which I still might do in the near future, and I also thought about adding some black pepper to them but didn’t think it was quite enough kick. After a brief glance in the fridge, I saw what I was looking for. Sriracha!! Having fallen completely in love with Sriracha I want to put it on everything. More so than Tabasco, just don’t tell Brooks because Tabasco is his end-all-be-all way to spice anything up. Or even give it just a hint of flavor because according to him everything benefits from a dash of Tabasco. 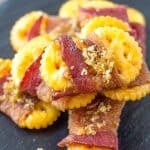 Making these Sweet and Spicy Bacon Crackers may seem labor-intensive but I assure you they are easy. 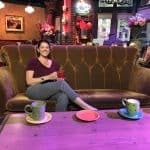 They just need some time and love is all. After all the affection you bestow on them, they will reward you with the perfect combination of sweet, spice, smoke, and salt. Not to mention the buttery, flaky, crispy cracker that holds all these wonderful flavors and textures. You will need one or two packages of bacon depending on how many bacon crackers you want to make. Town House crackers are perfect for making the bacon crackers but you can also go with the pretzel flip-sides too. They have the perfect width to stretch my bacon around. For the bacon, I use the grocery store brand and get the center cut portion. I like a more “meaty” bacon so I like this cut the best. The number of bacon slices varies slightly from package to package (12 ounce) so I just use the full package and wrap as many crackers as I can. 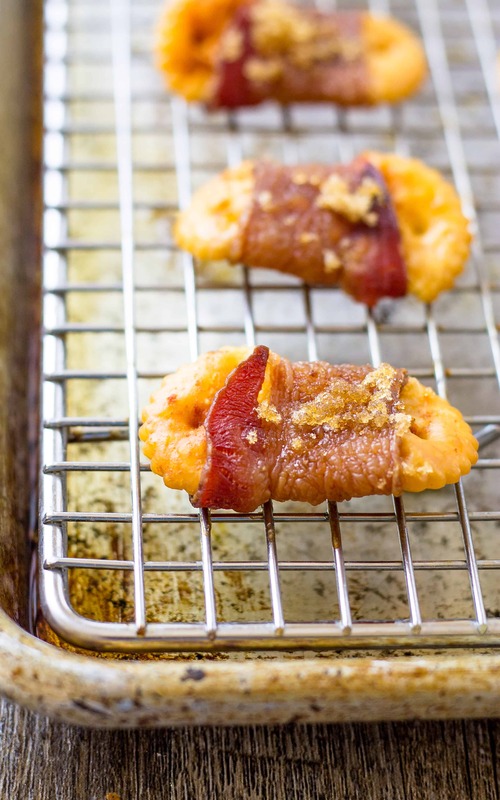 To make the Sweet and Spicy Bacon Crackers, brush each cracker with Sriracha on one side, wrap a slice of bacon around each cracker (the ends on the same side) and place on a baking sheet. I prefer to use a “cooling rack” on a baking sheet so the fat from the bacon can drain away and keep the crackers very crispy. The original recipe calls for a sprinkle of brown sugar on the top at this stage of the game. Because we are baking the crackers for 2 hours, and the fact that I have burned too many things like my Redneck Snack Mix trying to bake things with brown sugar on them, I decided to bake the bacon crackers for a full hour and then dust them with the brown sugar. This way the sugar bakes but doesn’t have a chance to burn. 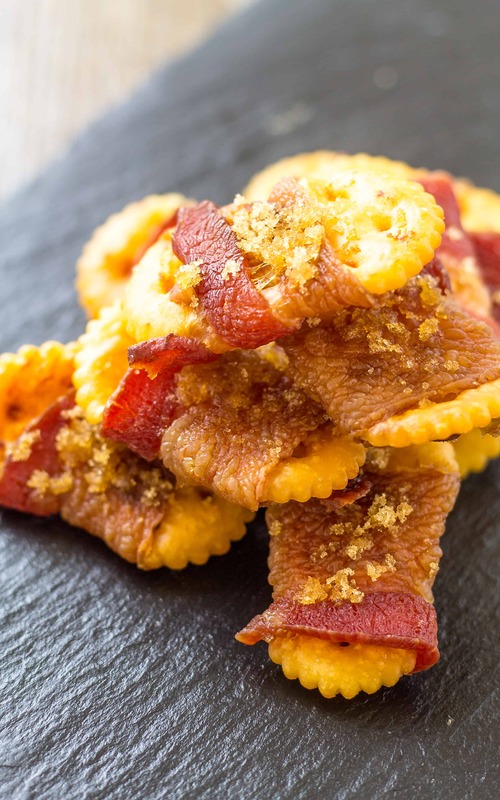 Making my Sweet and Spicy Bacon Crackers will make you the star of the party and definitely get you an invite to the next one! Stay salty my friends! Place a cooling rack on top of a rimmed baking sheet. You can line sheet with foil beforehand if you prefer. Brush each cracker with Sriracha on one side. Wrap the cracker with a third of a slice of bacon. The cut bacon should just fit around the cracker with the ends coming together. Place the crackers on the cooling rack/baking sheet with the cut ends of the bacon under the crackers and the Sriracha side up. This will keep the bacon from unraveling while baking. At the one hour mark, remove the baking sheet from the oven. Sprinkle each cracker with a little bit of light brown sugar. Return the crackers to the oven and bake for another hour or until the bacon is crispy to your liking. 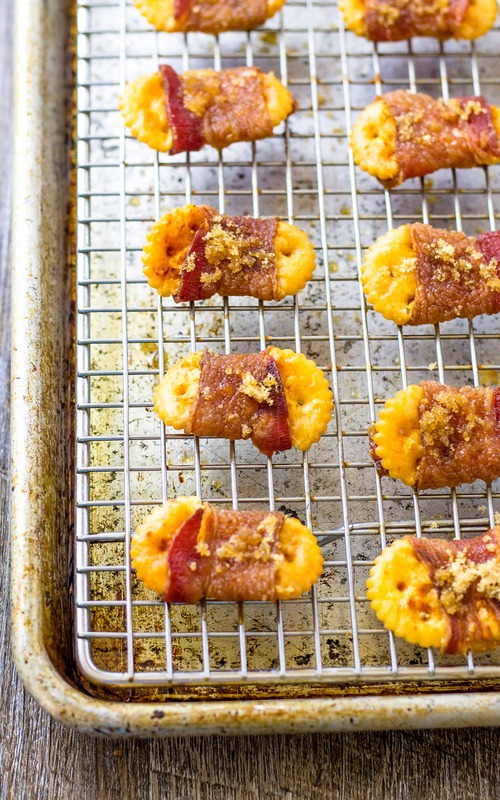 When the bacon crackers are done, remove them from the oven and let them cool slightly. Serve warm or cool completely and store in an airtight container until ready to eat.